The picture below related to the words watch for pedestrians is offered under a Creative Commons Attribution-ShareAlike license which permits the free use of the image by anyone as long as the user follows the terms of the license. See license details below. 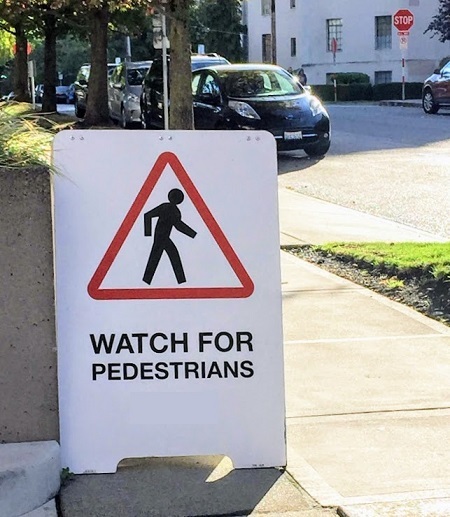 Watch For Pedestrians Sidewalk Sign​ by Mischelle Davis / Davis Law Group is licensed under a Creative Commons Attribution-ShareAlike 4.0 International License.